Modern Turkish fiction has focused on three axes of contradictions. The first is between the individual and society, the second is the struggle between the East and the West and the third is the disharmony between the urban and rural lives of Turkey. The legendary 19th-century novelist, Ahmet Mithat Efendi, was the first fiction writer to give birth to the East-West dispute axis. Alev Alatlı is the contemporary representative of the long tradition of fiction which arose from that axis, with Kemal Tahir as possibly the most outstanding writer of the genre. The urban-rural contradiction axis in fiction is represented by the novels of Orhan Kemal. This genre of novels is generally underestimated and judged as "village novels." Indeed, there are village novels; however, the potential of the genre is wider than that, and this is why it has not died. Novels set in the outskirts of urban cities and movies dealing with emigrants can be seen as a reincarnation of the genre. The individual-society dispute axis has yielded more artistic and dramatic novels than the first two genres. Ahmet Hamdi Tanpınar is seen as the champion of this genre, with his novels focused on intellectual individuals. Additionally, postmodern fiction writers in Turkey, including Oğuz Atay and Orhan Pamuk, have been the purveyors of this genre. The individual-society dispute is critical for fiction writers since it generally implies one or the other of the first two disputes as well. Taking the above three axes of disputes into consideration, Adalet Ağaoğlu becomes a very interesting writer, because firstly, she comes from a rural district of a city, Ankara, and secondly, as a writer, she has always been concerned about the Westernization of Turkey. Thirdly, she prefers to focus on individuals among a certain elite society in her fiction. Adalet Ağaoğlu was born on Oct. 13, 1929 in Nallıhan, a remote district of the capital city of modern Turkey, Ankara. Ağaoğlu is the only sister of three brothers, and her father, Hafız Mustafa Sümer, was a cloth trader. Her brothers are Cazip Sümer, who is a playwright, Güner Sümer, an actor and director, and Ayhan Sümer, a businessman. The Sümer family was rich in a rural context. Hafız Mustafa wanted his children to be well-educated. In pursuit of this goal, they moved to Ankara in 1938 when Adalet was in elementary school. She attended the Girls' School in Ankara, after which she studied French literature at Ankara University. She began writing in high school, and like many others, her initial literary works were poems. But she also was fond of drama, and wrote plays. 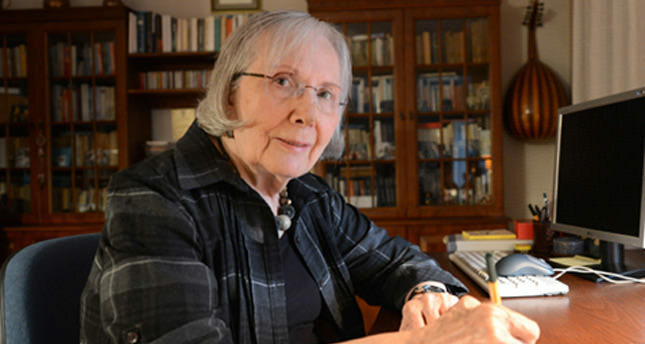 Ağaoğlu's first published works are drama critiques she wrote for "Ulus" (Nation) daily, which was a prominent Kemalist newspaper during the single-party rule. She also published some poems in the literary magazine "Kaynak" (Spring). Adalet Ağaoğlu worked for TRT from 1951 until 1970. When she was working for TRT Ankara Radio, she wrote her first official drama script, called "Aşk Şarkısı" (Love Song), a radio play. When she was working at the Ankara Radio, she founded "Meydan Sahnesi" (Avenue Stage), which was the first private theater of Ankara, with four drama directors, Kartal Tibet, Üner İlsever, Çetin Köroğlu and Nur Sabuncu. The group also published the "Meydan Sahne" journal. Ağaoğlu visited Paris in 1953 in order to gain experience in the drama business. In the same year, "Bir Piyes Yazalım"(Let's Write a Play) that she wrote together with Sevim Uzungören was staged in Ankara. Adalet Ağaoğlu married Halim Ağaoğlu in 1954. She continued writing plays until she began her long fiction career in 1973, writing a dozen plays so far. 1970 was a milestone in Adalet Ağaoğlu's life and career, as after this date, she only worked as a writer. She left her job at TRT, thinking that the state intruded in the autonomy of the institution, and began her long fiction career. Ağaoğlu wrote her first novel "Ölmeye Yatmak" (Lying to Death) in 1973. This is the first book of a stream novel series. "Ölmeye Yatmak" is the dramatic story of the first generation of the Turkish Republic. The novel carries many autobiographic features, in particular, the main character and her environment come directly from the life of the novelist. "Ölmeye Yatmak" is an ideological and psychological questioning of Kemalist bureaucratic elite of the 1960s. Ağaoğlu does not obviously criticize the regime or ideology. On the other hand, she implies what she likes and dislikes in the lives of the elite, who were raised as the first children of the Turkish Republic. Adalet Ağaoğlu's first novel "Ölmeye Yatmak," can also be considered her best piece, thanks to the minimalist, elegant style. Besides, the content, which is not directly influenced by Kemalist ideology, but rather by the attitudes and relationships of an environment attached to the Kemalist ideological sphere, is convincing.